Sobolevite: Mineral information, data and localities. 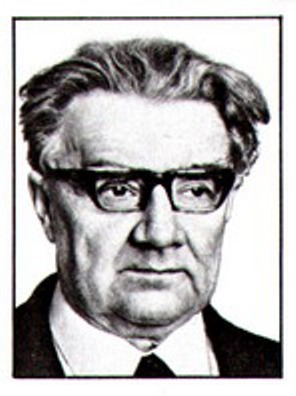 Named in honor of Vladimir Stepanovich Sobolev (Владимира Степановича Соболева) (17 May [30 May] 1908, Lugansk, Russian Empire - 1 September 1982, Moscow, USSR), Academician of the USSR Academy of Sciences and Director of the A. E. Fersman Mineralogical Museum, Moscow (1980 to 1982). He was a petrologist, studied the mineralogy of silicates, magmatism and metamorphism of rocks, and the mineralogy and petrology of the Siberian Platform. This page provides mineralogical data about Sobolevite. Murmanite Na2Ti2(Si2O7)O2 · 2H2O Tric. Readily decomposed by cold 10% HCl. Khomyakov, A.P., Kurova, T.A., and Chistyakova, N.I. (1983) Sobolevite Na14Ca2MnTi3P4Si4O34 - a new mineral. 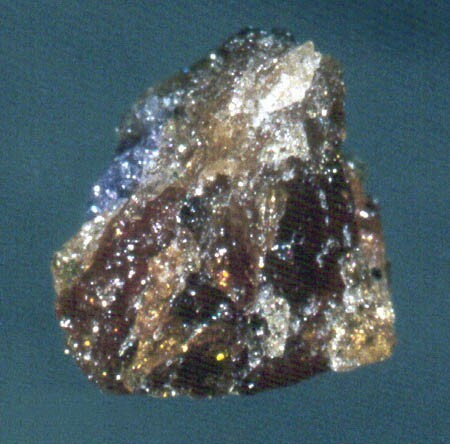 Zapiski Vsesoyuznogo Mineralogicheskogo Obshchestva (1983): 112: 456-461 (in Russian). Doklady Akademiia Nauk, SSSR (USSR) (1988): 302: 1112 (in Russian). Sokolova, E., Egorov-Tismenko, Yu.K., Khomyakov, A.P. (1988) Crystal structure of sobolevite. Soviet Physics – Doklady: 33: 711-714. Canadian Mineralogist (2002): 40: 377. Sokolova, E., Hawthorne, F.C., Khomyakov, A.P. (2005) Polyphite and sobolevite: revision of their crystal structures. Canadian Mineralogist: 43: 1527-1544.